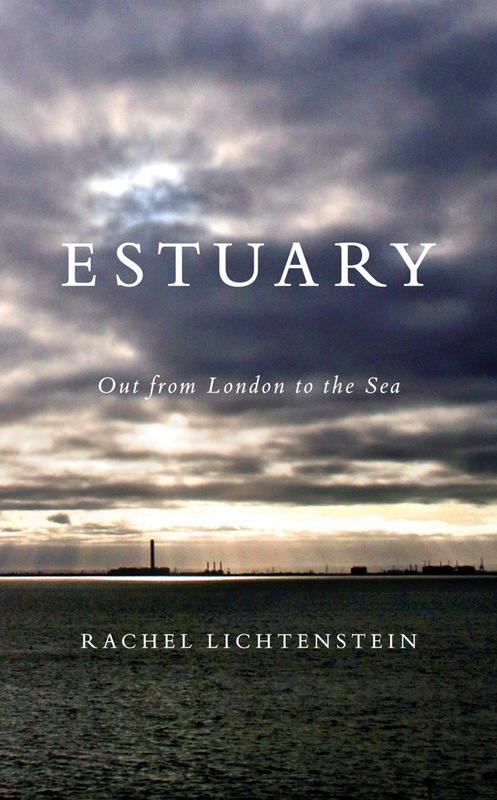 Rachel Lichtenstein introduces her new book Estuary: Out From London To The Sea – An immersive journey into the world of the Thames Estuary and the people who spend their lives there – published by Hamish Hamilton on 22nd September to coincide with ESTUARY, a sixteen day festival celebrating the culture of the Thames Estuary. On the night of the summer solstice, I made my way to Hermitage Moorings, just east of Tower Bridge. There were about a dozen vessels in the harbour, tugs and Thames barges mainly, which had been lovingly restored by a community of passionate enthusiasts. The historic boats made an impressive sight with the dark, wooden masts of the barges and their folded, heavy red sails silhouetted against the great royal palace behind. 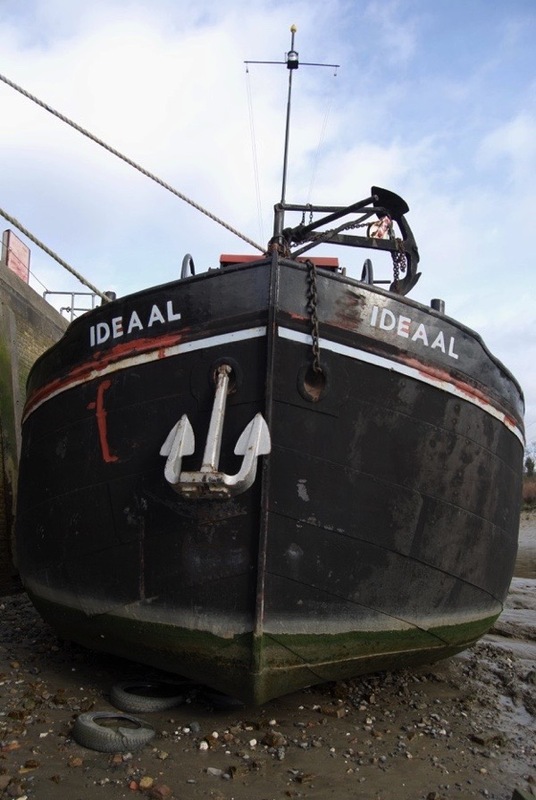 I found Ideaal moored alongside a refurbished Thames sailing barge, which now served as a permanent residence for a young couple and their dog. Skipping over the artfully arranged nets and ropes on the deck of the sailing boat, I hopped on to the fifty-ton Dutch barge. 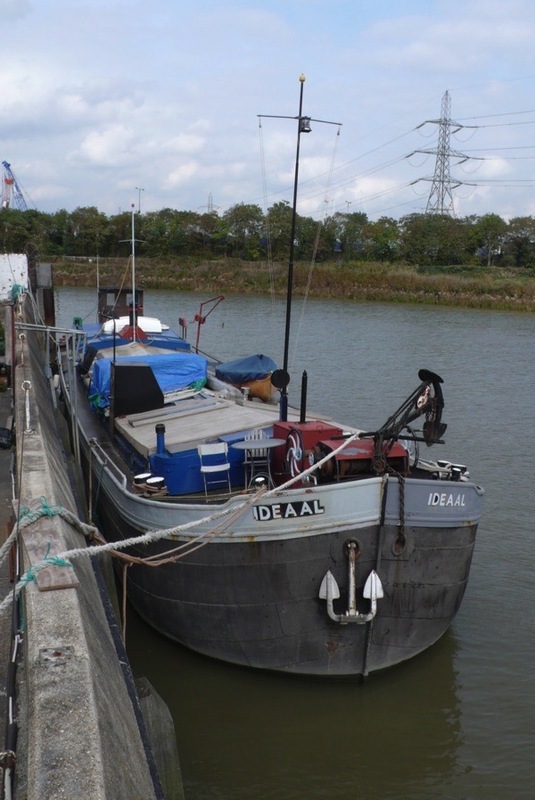 It had originally been built in the nineteen-twenties as a working barge to carry freight and has since been converted into a studio by owner Ben Eastop, although it remains a seaworthy vessel. As the light slowly faded on the longest day of the year, I sat on deck with the rest of the crew, drinking beers, sharing stories and watching the cityscape transform. By dusk, a low mist began to obscure most of the buildings. The dome of St Paul’s disappeared before re-emerging, floodlit, against the London skyline. Red-flashing beacons appeared sporadically through the fog, marking the tops of tall cranes and skyscrapers. The skeletal frame of the Shard came suddenly into focus as every floor lit up simultaneously. At the same time, the beautiful Gothic structure of Tower Bridge behind us was illuminated from above and below, throwing a sparkling reflection into the black waters of the Lower Pool of London – a place where so many of the world’s most important ships have anchored. As night fell, the lights inside all the flats, hotels and offices along the riverside came on. We floated in the dark void of the river, suspended in time. On the water, the sounds of the city seemed altered. I could hear the distant hum of traffic on the bridge, the clatter of trains rumbling past, the intermittent backdrop of sirens wailing, but it was as if these sounds were coming from another place altogether, not from the great, throbbing metropolis around me. I sat and watched the vast twin bascules of Tower Bridge being raised little by little. 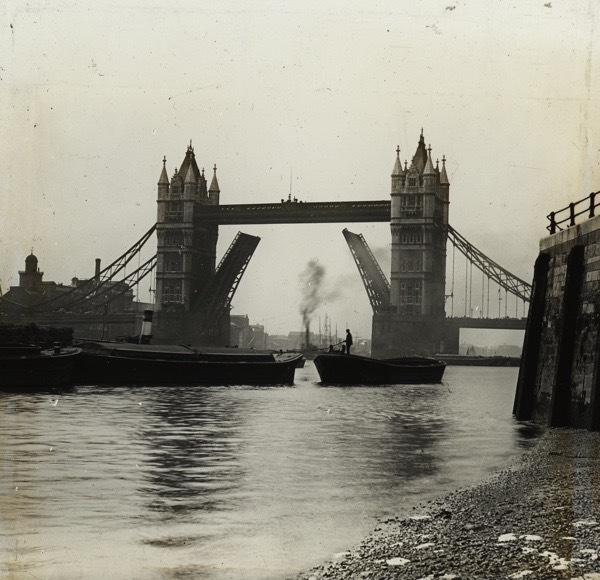 When they were fully open, a Thames barge sailed silently past and drifted beneath the bridge before quickly disappearing into the shadows on the other side. On the remains of a wooden jetty nearby, I could just make out a large, black cormorant standing perfectly still, its huge wings outstretched. The temperature dropped. The rest of the crew went below deck. I sat up top for a while longer, transfixed by the patterns in the dark water, before realising we were moored somewhere near to where the Irongate Stairs used to be – the place where my Polish-Jewish grandparents disembarked nearly a century ago after a long, harrowing journey by sea. Their boat, packed full of Yiddish-speaking migrants, anchored offshore. Passengers would then have been transferred from the ship by rowing boat to the shore before making their way up the stairs and into the backstreets of Whitechapel and elsewhere to a new life. I remember the legendary East London Jewish playwright Bernard Kops telling me that, when his parents arrived from Eastern Europe by boat, they saw the open arms of the bridge ‘as a mother welcoming [them] home’. There is another story about Jews and the river, which haunts me whenever I am on the water. Further upriver, around London Bridge, there is a terrible legend from the time of the Plague when people hired skippers to take them out of the City to avoid contagion. One time, a group of Jews was rowed out to a sandbank, where London Bridge was later to stand. The skipper demanded extra money to take them to the other side, which they did not have, so he left them there and they all drowned. The white water that swirls around this sandbank is said to be caused by these lost Jewish souls kicking up in torment. 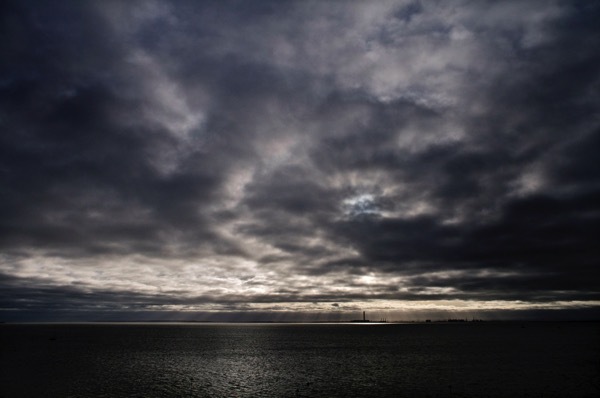 By the time the sky had grown completely dark, I had joined the others below in the hold, which now served as living quarters for the male members of the crew, with a small galley kitchen at one end and a large wooden table and chairs in the centre of the open space. Ben asked us to gather around the table to examine a nautical chart of the Thames Estuary. We spent the next hour or so deliberating over the definition of ‘the Thames Estuary’ - all we could agree on was that it was the stretch of water between the River Thames and the North Sea. 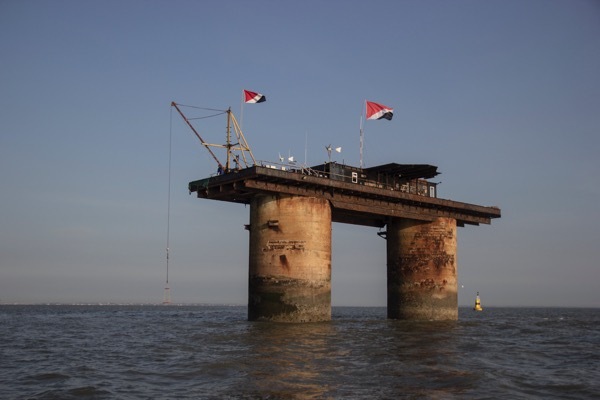 The Greater Thames Estuary encompasses an enormous area, covering over eight hundred nautical square miles, starting at Tower Bridge and stretching all the way up to Clacton in Essex and down to Whitstable in Kent, and including multiple creeks, islands and tributaries. 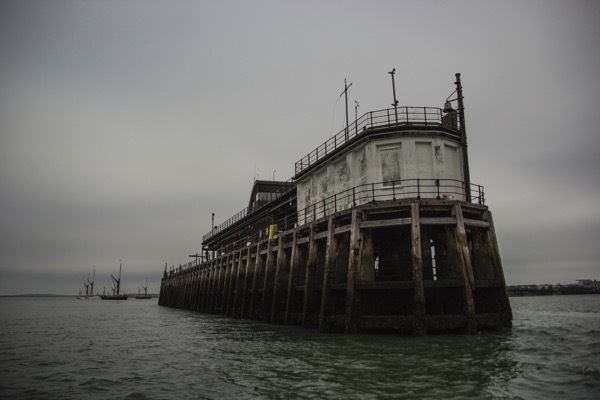 We were going to spend the next five days on a cruise along the Thames Estuary. The journey would be deliberately slow-paced, a direct and immersive experience of the ancient waterway. We would amble downriver, drift on the tides, meditate on the unique seascape of that place. We were a mixed crew of visual artists, an archaeologist of the recent past, a musician, a filmmaker, a writer and an ornithologist. Ben had asked me to be the writer-in-residence. 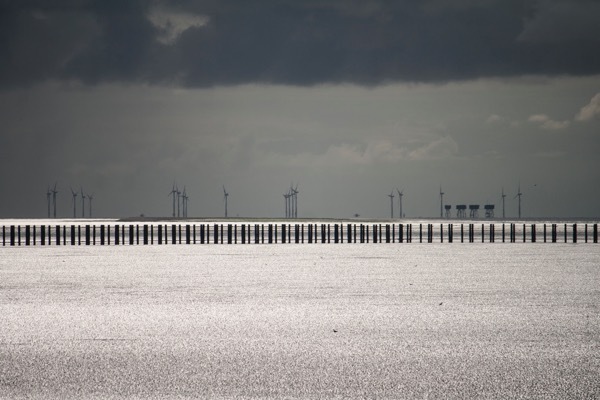 The idea appealed to me immediately, as the Estuary and the mud-flats of the Thames were the landscapes of my childhood. 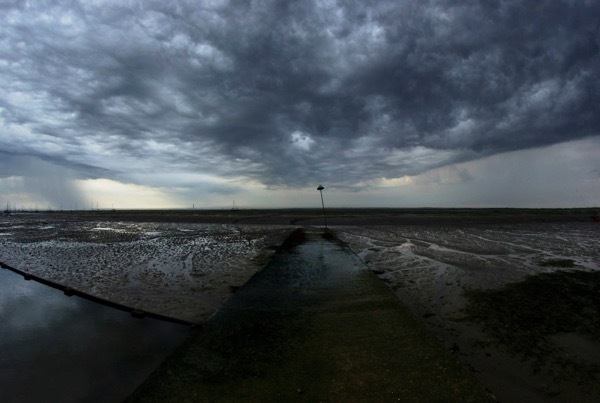 I grew up in Southend-on-Sea and spent my school holidays paddling, swimming and playing in the Estuary waters. When the tide went out I walked on the mud for miles, catching crabs and shrimp in the little pools of water left behind by the receding sea. 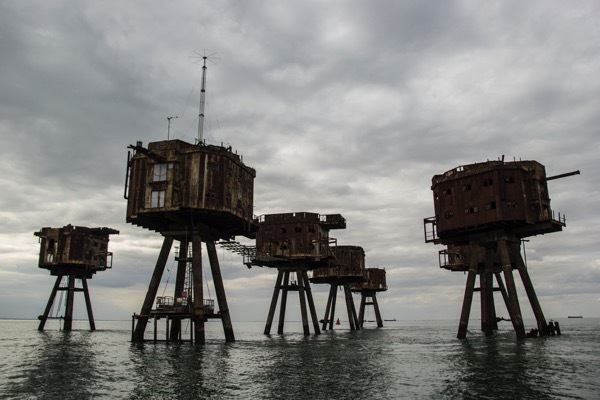 I knew the dangers of the incoming tide and also something of the military history of the place, having visited the remnants of crumbling forts along the coastline. I had heard the stories of the ship filled with bombs sitting on the riverbed, but before my trip on Ideaal I had never spent any time on the water itself. Most Estuary dwellers have not either. 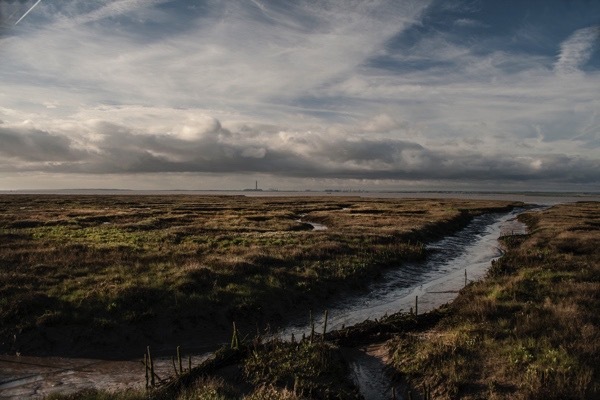 For the majority of people who live in the many towns and communities dotted along the Essex and Kent coastlines, the Estuary is little more than a backdrop to their lives. It remains, for most, an unknown landscape. After decades of living in East London, never more than a mile away from the river, I returned to live in my hometown of Leigh-on-Sea. Walking beside the Estuary became a form of daily meditation, a way of freeing my thoughts before returning to my desk to write. Even though I was writing urban histories, I became increasingly curious about the landscape I found myself living and walking through. So I accepted Ben’s offer without hesitation, intrigued to see what would happen to my perspective on and understanding of this landscape by being on the water. It was late that night when we finished with the nautical charts. I lay awake, feeling the weight of Ideaal in the dark water, listening attentively to the creak of old wood and the sound of water lapping against the hull whilst inhaling the strange odours inside: a mix of paraffin, rope, wood and dust. Eventually, I must have fallen asleep, as the vibration of the diesel engine above woke me at 6 am. Crawling out of bed, I made my way into the hold next door. Abandoned sleeping bags and mattresses lay scattered on the floor, the rest of the crew were up already. I helped myself to the still-warm coffee in the pot and sat for a while in the belly of the boat, thinking about the merchandise that once filled that space: potassium, tea, spices, bricks, hay. Ben had told me that, when the vessel was used for shifting goods around the Dutch canals, the great, curved beams above me could be removed to throw large loads into the hold. Tentatively, I climbed the almost-vertical wooden ladder up on to the deck. The sun was shining brightly and London looked magnificent. Ben was standing in the wheelhouse. Everybody was in good spirits, and we were ready to begin our first day cruising along the Estuary: the start of my exploration of that place. Ben skilfully steered the barge over to the starboard side of the fast-flowing Thames, following the yellow steel navigation buoys marking our passage downriver. The hull swayed in the water. The sense of movement was exhilarating – our journey had begun. As we turned away from the city, the river widened almost immediately. I sat on the stern and watched Tower Bridge recede into the distance. We chugged slowly past hotels, modern flats and rows of nineteenth-century warehouses, since regenerated into expensive riverside apartment blocks. Not a single building was unoccupied, but they all looked empty. Wharves and ports lined the river on both sides from the Tower to the docks until the nineteen-sixties, when the area became abandoned. Over forty thousand people had been employed at these docksides: barge and lightermen, porters, fishermen, boat-builders, sailors and stevedores. The place was once so congested with boats you could walk across them from one side of the river to the other. Ben called me over to the wheelhouse as we passed the Prospect of Whitby and asked me to keep a sharp eye out for drifting rubbish which might clog up the propeller of the barge. 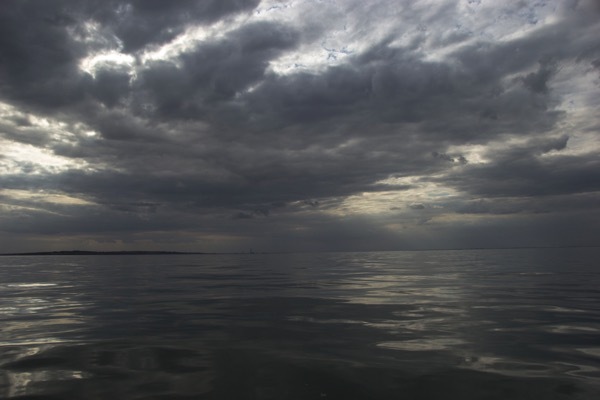 I leant over the side of the boat, watching the swirling water beneath us, which was so dark it looked almost black. I thought about all the traces flowing past, the particles of lost landscapes and other remnants from the city. At Cuckold’s Point, the river curved. Around the bend, I looked up to see the gleaming cityscape of the Docklands and Canary Wharf. Amongst the densely gathered skyscrapers, it was impossible to identify any trace of the former industry and crowded life of the docks. We sailed near to where pirates were once hung on chains opposite Greenwich Hospital. The river twisted and turned, as we made our way downriver, out towards the wilder, less-predictable waters of the Thames Estuary. 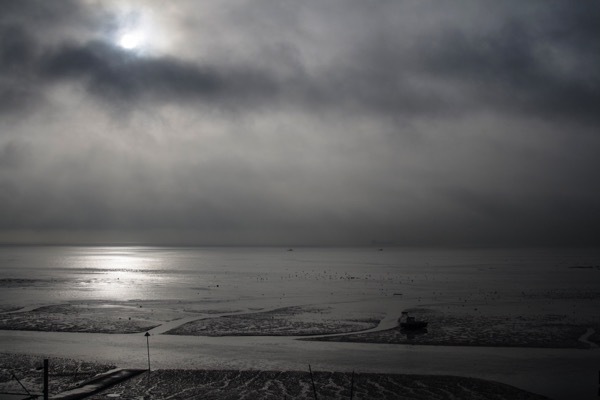 I first visited Whitstable in the 80s and immediately harboured a fancy of living in one of the clapboard houses facing out on the cold expanse of water where the Thames Estuary becomes the North Sea. A fancy that will never – unless I should win the lottery – be realised. Your book looks very engaging. A vicarious pleasure to look forward to. Great stuff by Rachel hope book is a best seller, it should be. I would like to mention Thames Sailing Barges sailed just by a man and boy occasionally a third hand. I call them ‘river lorries’ they were a major trading factor in the Thames up to the early 1960s transporting coal, hay, manure you name it they moved it mainly bulk stuff, by sail and later sometimes motor. They served mainly the South East sometimes France and WW2 Dunkirk. Designed to reach the most difficult of estuary and river destinations, sometimes beaching their beloved barges; Yes, I have sailed in one SB Reminder in the Thames, Maldon and beyond. The barge spirit lives on take a ‘ride’ in one you will not regret it, interest is now World Wide. John B – PS So sad about the drowning of Jewish citizens at the time of the plague ?1665-66 (Samuel Pepys time) this is a powerful story line by Rachel. Having read Rachel’s other two books, I look forward to reading this one – it sounds very interesting. Another wonderful article! Rachel is an evocative chronicler of London. 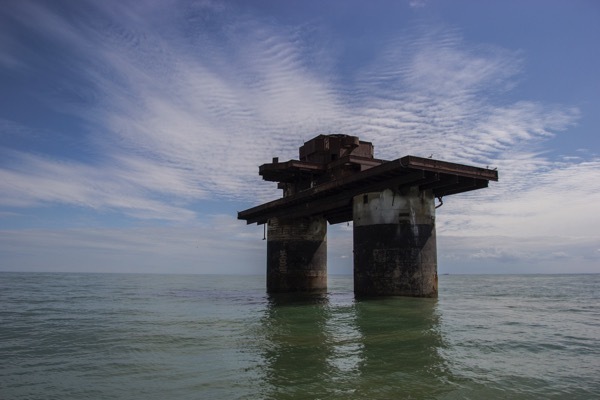 The legend of the Jewish people abandoned on a sandbank is [also?] told about the time of the Expulsion in 1290. It featured in a poignant TV documentary screened many years back. I am rushing off to buy this book. Looks amazing!! Seems to be a fine book. I love it when your posts mix with your own personal story, they are the most powerful for me. I used to live in Whitstable when it was mainly occupied with OAPs whose children had resettled in Australia, USA and Canada and possibly as a result the second hand shops and auctions were fabulous. I live in Christchurch New Zealand. I’ve just looked on our local Library Website and it has this on order. So, I’ve reserved it for when it arrives. Looking forward to reading it. Also. reserved ‘On Brick Lane’ which they have on the shelf, amazing, will read that this weekend. So we are connected to the rest of the world down here. Thanks. What are the earliest records relating to this part of the Thames, please? And what happens to the bodies of unfortunates who are drowned in it? A possible ancestor of mine, Captain Piper (no Christian name, sadly) and three of his crew were drowned in The Hope section, in May 1732 when they were returning to his ship the Dorothy which had been bound over. Would their bodies have been recovered and buried on shore? Is there a record I can look up, please? It must have been a vicious squall that overset their boat in the Hope. Are there any sources recording violent storms or other unusual weather relating to that period?